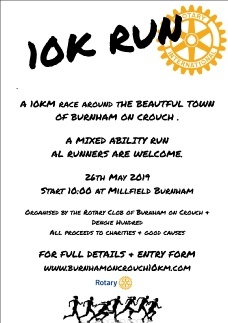 The Rotary Club of Burnham on Crouch & Dengie Hundred is one of over 1800 clubs with over 58,000 members throughout the UK. Rotary is the World's largest Non Religious, Non Political and Non Sectarian Service Organisation, with some 1,200,000 members operating in 168 countries world-wide. As well as raising funds for charity & supporting good causes in our community, we also have an extensive social programme & functions which are enjoyed by our members, families, and friends. Please contact us if you would like to learn more about the Rotary organisation, our club or membership.